As one of my favorite singer/songwriters, Carole King, once wrote: “So far away/Doesn’t anybody stay in one place anymore?” And we don’t. Restless transients that we are, most of us–especially in the queer community–long to escape the places in which we were raised. To start over, to create our own lives even as we carry old traditions into new surroundings. If, for whatever reason, we can’t leave, we yearn to do so. 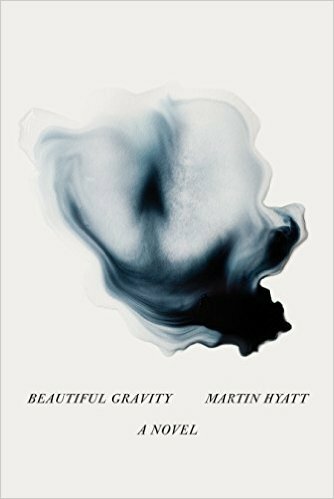 But those who leave soon find they can never escape, which is the primary lesson in Martin Hyatt’s latest novel, Beautiful Gravity. Boz Matthews, born and raised in Noxington LA, still works at and lives over his grandfather’s highway diner. Drifting through his days slowly filling salt shakers and waiting on tables when he isn’t beating off to Marcello Mastroianni, he is visited intermittently by his best friend Meg, a seriously manic depressive preacher’s daughter who is as fragile as she is indomitable. When failed country music star Catty Mills and her songwriter/manager, Kyle Thomas, a former Noxington boy himself, come to town, the misfits find themselves in a menage a quatre that results in both birth and death by the end of the book. The themes in Beautiful Gravity are nothing new, but Hyatt works them as if they are, creating complicated characters whose actions are sometimes as unclear to themselves as they are to us. Catty’s binges, Kyle’s remoteness, Meg’s dependencies, and Boz’s distance are vaguely rooted in their pasts and we get glimpses of those parts of their lives, but they’re less important than how those actions affect the intertwined lives of all four. For a work so centered on escape and return, the place from which the characters do both is always present, yet rarely described. Hyatt paints the town in broad strokes, providing a few juicy details to hang the image on, then he leaves it brooding in the background, there yet not there. Instead, Boz is the true center of gravity–indeed, the title of the book comes from Kyle referring to Boz’s “beautiful gravity”–but the center around which they all coalesce is dangerously unstable himself. As with the town, Boz is there yet not there. Regardless, he is of a piece with the other three members of the menage. The sum of this relationship is definitely greater than its parts. Yet each part has its function. Kyle provides its masculinity, Meg its fragility (and fecundity), Catty its adventurousness, and Boz its soul. Hyatt has created a wonderful portrait of four individuals and the relationship they form in combination. Sexually charged and scarred both physically and psychically, their shortcomings and strengths meld into a group dynamic unlike anything most of us will experience. That alone should be reason enough to read this, but then there’s Hyatt’s prose, which is deft and beautiful. It’s stealth prose–you don’t realize how deeply it cuts until it’s too late. Highly readable and highly recommended.